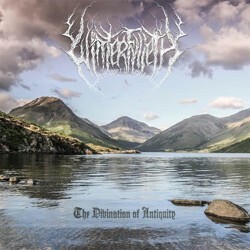 Visionaries of modern English black metal, Winterfylleth return with their highly anticipated new album “The Divination of Antiquity“. It is the band’s 4th full-length album and it will be released on October 6th 2014 in the UK and the 7th of October rest of the world via Candlelight Records UK/USA. Comprising 9 new tracks of passionate, anthemic and epic black metal, the band build on their established foundations and come out fighting with their strongest album to date. The amazing cover artwork for “The Divination of Antiquity” and the album tracklist are already unveiled. Catch Winterfylleth at Bloodstock Open Air, Damnation Festival and on tour with Behemoth later in 2014. When asked about the new album, frontman Chris Naughton said, “The new album represents a real step forward for the band. I really think that we poured over the material much more maticulously in the making of this album and I think that shows through in the finished article. The new songs really focus on the more melodic, passionate and expansive end of our spectrum this time around, and we have also taken the opportunity to shine light into a few dark corners of our songwriting including some slower, doomier elements this time as well. We recorded the new album with Chris Fielding again, but this time at his newly established Skyhammer Studios and I think that’s really given it a boost. His vision and a fresh recording environment has helped us to hone the essence of what a Winterfylleth record can be on ‘Divination’. We hope you all agree! See you on the road later in the year“. Very nice, I’m l0oking forward to that album !